Summer calls for cold, crunchy,refreshing light foods. It the perfect time of year to take advantage of eating as many fresh raw easily digestible foods to benefit the most you can from each whole foods nutrition that you get from them in their natural uncooked state. 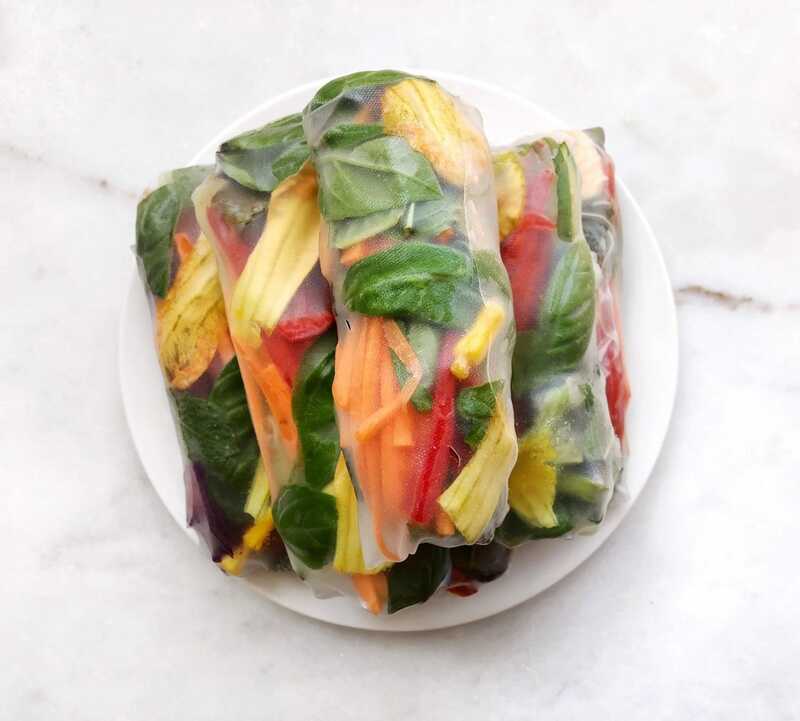 So give your oven a rest and enjoy my Raw Summer Rainbow Wraps Recipe. There are so many benefits when eating raw foods and it is something I definitely recommend you do as part of your diet. Adding in more high-fiber foods and raw foods slowly might mean you experience less digestive problems and cravings and more energy and overall wellness. Place all dressing ingredients into the blender and blend at high speed until mixture is smooth. Add dip into small bowl and set aside. Julienne or slice your selection of vegetables into thin slices. 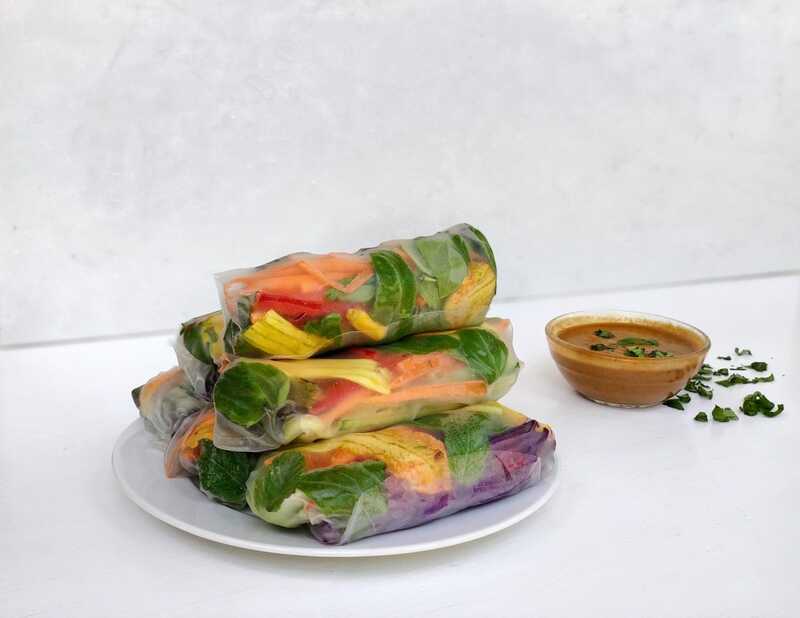 Prepare the wraps, fill a bowl with hot water and submerge each wrap until it softens. 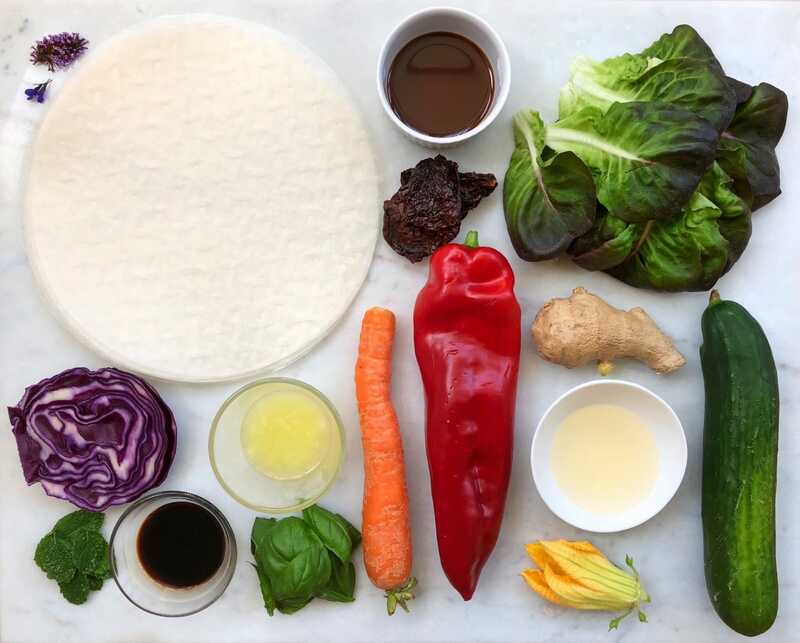 Place the wrap on your kitchen board and layer starting with herbs and flowers, veggies and lettuce leaves. Wrap your wrap up starting with folding in the bottom, then the side closest to you and finally roll the wrap away fro you until it is fully wrapped. Keep doing this until you have use everything up. 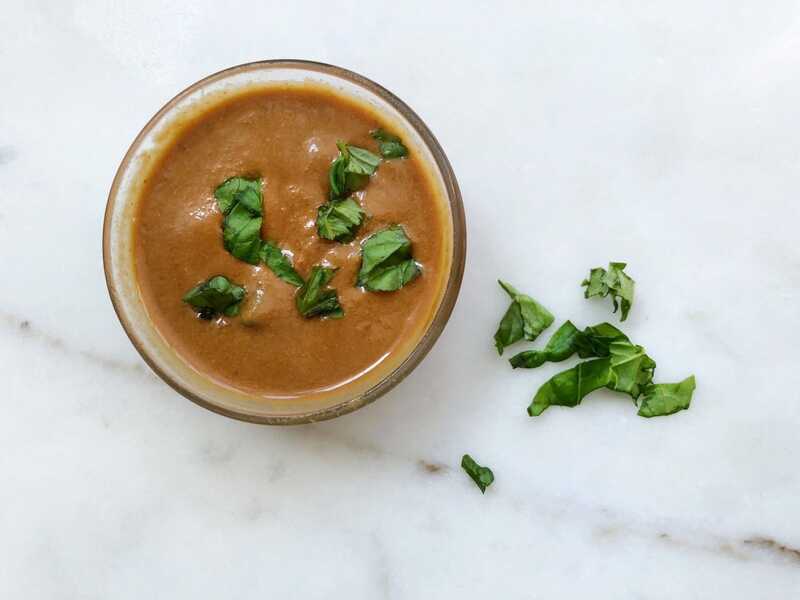 Serve with the dipping sauce and enjoy this light and healthy snack! I absolutely love this recipe, I’m obsessed with the dip! Let me know what you think by sharing your thoughts by commenting below also let me know your favourite healthy summer meals?